2. I wanted to setup a Dev Environment so that I can work on Enhancements and Additions. The Dev Environment is nothing but my laptop and it’s quite obviously 32 Bit. See the highlighted path and filename. 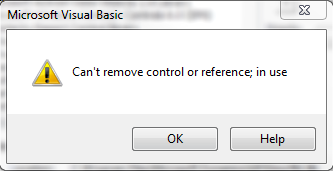 It’s completely different from what it has to be “VBA6.DLL”. 1. 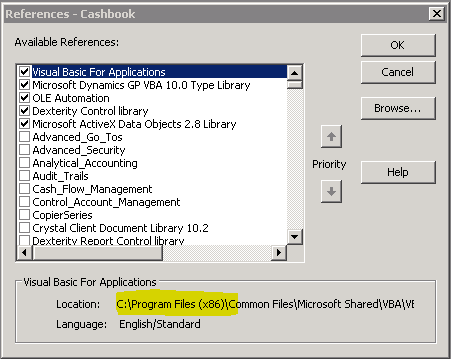 On a 64 Bit Server, GP and VBA Files are installed on Program Files (x86) folder. 2. 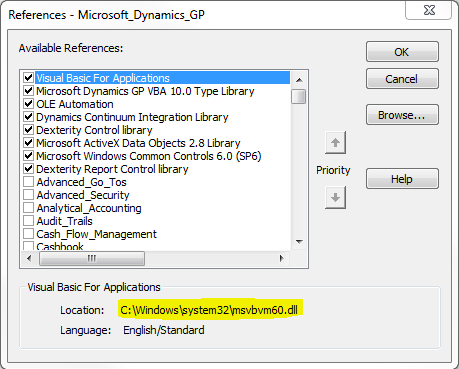 Whereas on a 32 Bit machine, GP and VBA Files are installed directly on Program Files folder. That’s the difference. Once you import and start GP it does work for the first time. Once you close GP and reopen it, it refers to (x86) folder. Since it’s not found, it starts throwing this message. I am in a fix now. We may have some other ways to handle this. I am working on that. There may be a followup post which will explain the methods that can be used to fix this issue. Meanwhile, if anyone has faced this issue, do share your ideas and how you fixed it. It would save me some time. UPDATE – 1: The reason explained above is substantiated, when I did another test. I imported 64 Bit Server VBA Customizations onto another 64 Bit Environment, it works. I imported a 32 Bit Server VBA Customization onto another 32 Bit Environment, and it works. UPDATE – 2: The reason that I had explained in this article, is only partial. There are more to this issue. 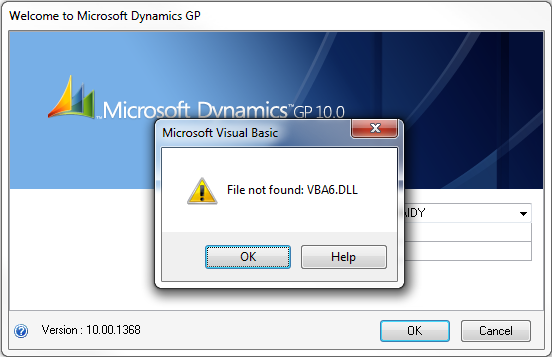 My next article explains the solution and also contains a link to Dynamics GP Partner Forum post, which led to a fix. Read it here: Solution to “File Not Found: VZBA6.DLL” Error Message. This entry was posted in 64 Bit, Uncategorized and tagged Uncategorized. Bookmark the permalink. ← When to seek a Consultant’s Assistance? This post was very helpful. I was facing a similar kind of issue, trying to copy the VBA package file from 32bit machine to 64bit. Eventually, it did not work, then I referred the link and it solved my problem.